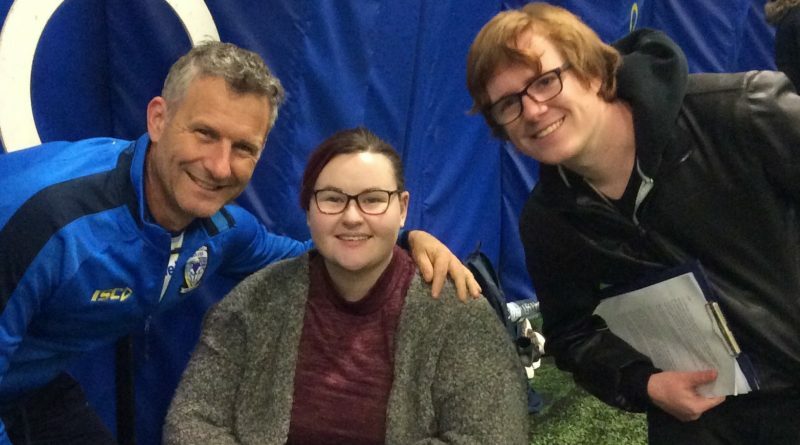 Australian comedian, TV Star, author….and now rugby league player Adam Hills has made a guest appearance on the University of Chester’s campus radio station. 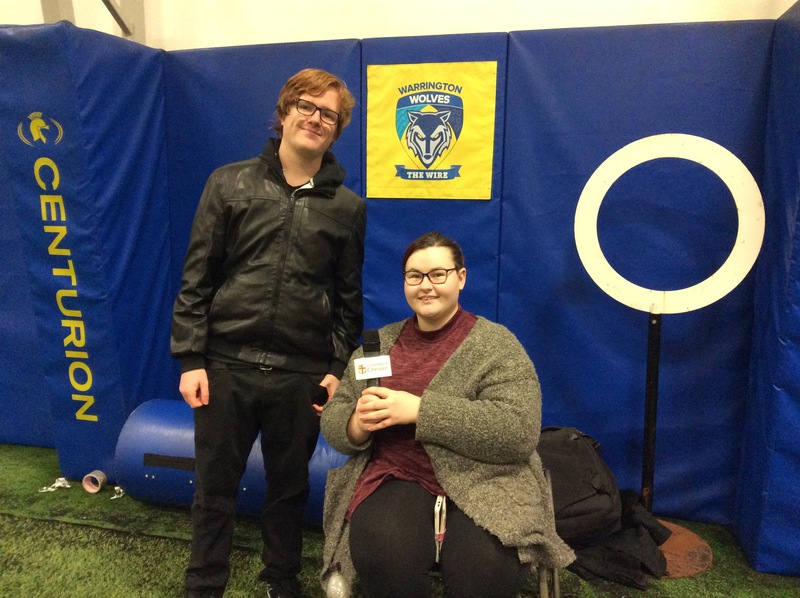 The star is a member of the Warrington Wolves Physical Disability team and travels up from London, to the University of Chester’s Warrington campus, once a week to train at the Wolves training facility. He told The Cat Radio “I love the sport, it was the sport I grew up with but I couldn’t keep up with the other kids and fell away from the sport when I was 14. With the birth of physical disability rugby league in the UK and the Warrington Wolves being the first team to ever do that I am back in and absolutely loving it.”. The Interview featured as part of a one hour special programme presented by Radio Production students Steph Taylor and Dan Baker. The show also included interviews with Neil Kelly, Director of The Warrington Wolves Foundation, the captain of the PDRL team, Jason Elkaleh and one of the able bodied players – ex England player Shaun Briscoe. You can listen to the full interview here! ← We’re Winners of an SRA!